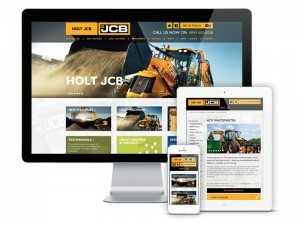 Digital communications agency RE:SYSTEMS has unveiled a new responsive website for Holt JCB. The JCB dealer's site uses a bespoke version of RE:SYSTEMS' content management system CMS:X, which connects it to internal stock management databases and also pushes enquiries straight through to its CRM system. Tom Shepherd, business analysis manager at Holt JCB, said: “RE:SYSTEMS has been a pleasure to work with – they dealt with all our queries and demands with urgency, expertise and professionalism. "The honest and knowledgeable advice we received in pulling together the whole website was invaluable." Founded in 1997 by directors Paul Rivers, Steve England, Christopher Clarke and Tim Hutchinson, RE:SYSTEMS now has a team of 35 across its offices in Bakewell, Manchester and South Africa. Other clients include Land Securities, MIDAS, Heathrow Express and Ticketmaster.